The Pack RAPID EPIK includes Celox Rapid Z-fold hemostatic gauze which is designed to save time in packing and compression when applied to a bleeding wound. Celox Rapid is the industry leading hemostatic z-fold gauze with embedded Chito-R granules that stick to wet tissue; quickly forming a gel clot that seals the wound and stops bleeding. Our Pack RAPID EPIK is a full featured kit and includes a pair of chest seals, and a compact Tourniquet. 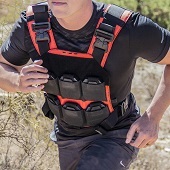 The slim profile makes it convenient and easy to store in a variety of pouches, side plate and trauma pockets that accept 6" x 8" inserts, or your backpack. Designed to save time when seconds count, our Pack RAPID EPIK includes the necessary supplies to combat severe bleeding wounds. Stores easily in your glove box, range bag, luggage, trunk, or desk drawer. 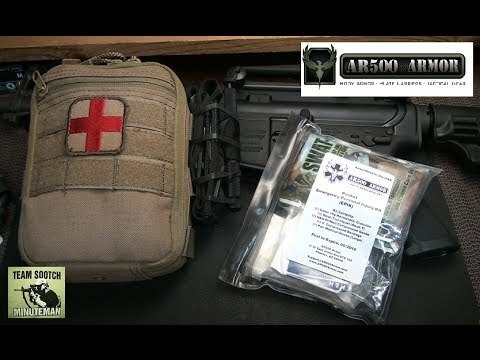 The Pack RAPID EPIK includes Celox RAPID Hemostatic Z-fold Gauze, FoxSeal Chest Seals (or equivalent), Swat-Tourniquet (Swat-T), H&H Thin-H Emergency Bandage, Waterproof Medical Tape, Medical Gloves, and a re-sealable aLOKSAK.